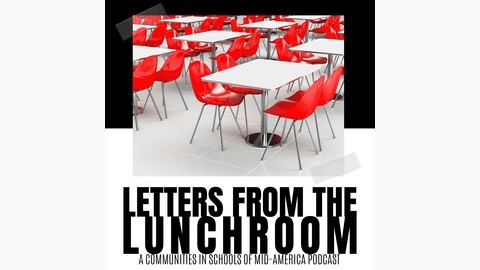 Letters from the Lunchroom is brought to you by Communities In Schools of Mid-America. Communities In Schools (CIS) is a nationwide non-profit, which connects students and their families to local resources in order to remove barriers so that they will have greater success in school and in life. During this podcast, we talk to people who have a relationship with CIS. From students to staff members, and alumni to volunteers, we know that people who connect with non-profits have a story that led them there, and we want to know that story. 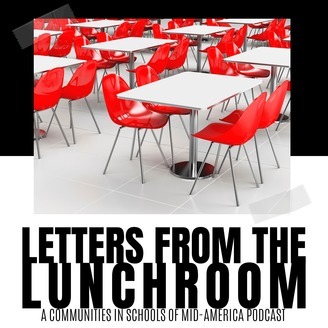 Letters from the Lunchroom is a podcast that shows you a new side of Communities In Schools of Mid-America, a non-profit which provides support services for at-risk students. As someone who has worked with non-profits for the past 10 years, Victoria Partridge knows that people who engage with non-profits have a story to tell, and she wants to hear that story. From students to staff members, and alumni to volunteers, Victoria connects with people of all backgrounds to discover the journey they took which brought them to Communities In Schools. Join us in the lunchroom to hear these stories, which are always touching, occasionally heart-breaking, and often surprising. In this episode, we talk with Jim Edwards, who is one of our outstanding volunteers. Jim shares the impact volunteering has had on his life, including some life changing stories of students he has met. In true Jim fashion, he brings his life advice to the Lunchroom and explains how to find your equalizer. Want to be a guest on the show and share your own story? Contact Victoria at victoria.partridge@cismidamerica.org. Letters from the Lunchroom is a production of Communities In Schools of Mid-America.